What's in a name? I remember the first thing I ever bought with my name on it. It was a sticker book that said Barbara. 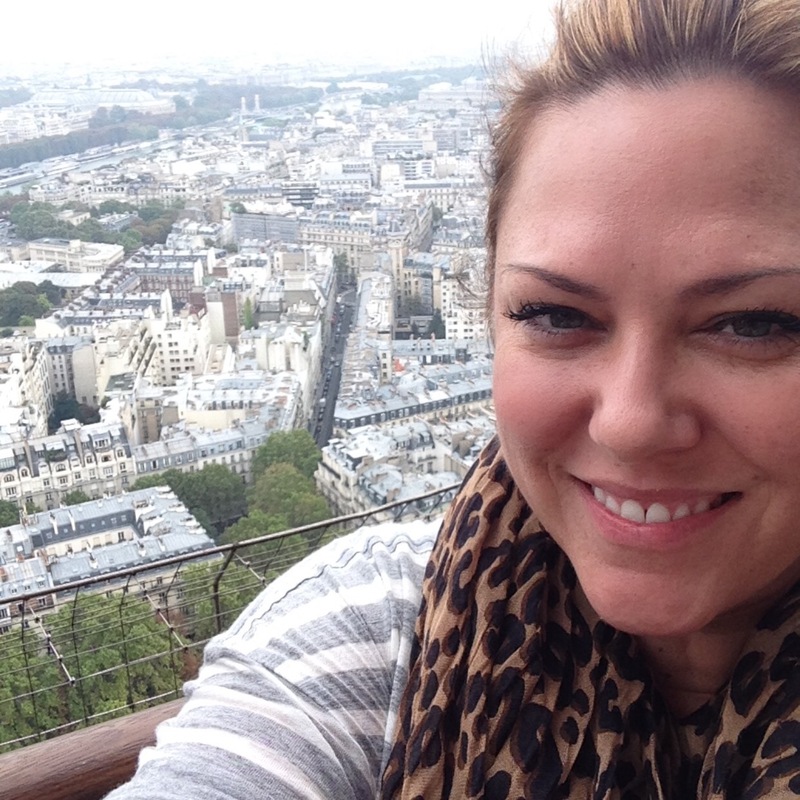 No, my real name isn't Barbara, but when I was a kid they didn't have anything with the name Amber! It was SO frustrating. I think it was in the 90s when I started to finally see my name, so I bought pencils, $5 nameplate necklaces, notebooks. I stocked up! Today we are lucky. You can have any name in the world and personalize it. 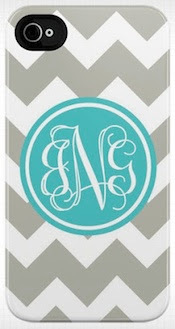 I recently bought a pretty little iPhone cover with my initials, exactly like the one below, and am buying my mom one for mothers day (from Daninotes) in lavender and yellow (shhhh!). 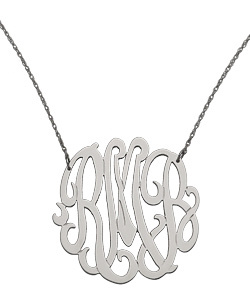 Next on my list is either a nameplate necklace or initial necklace. Other things I would like to have monogramed...anything J Crew, especially that peach sweater, which happens to be the color of the week. 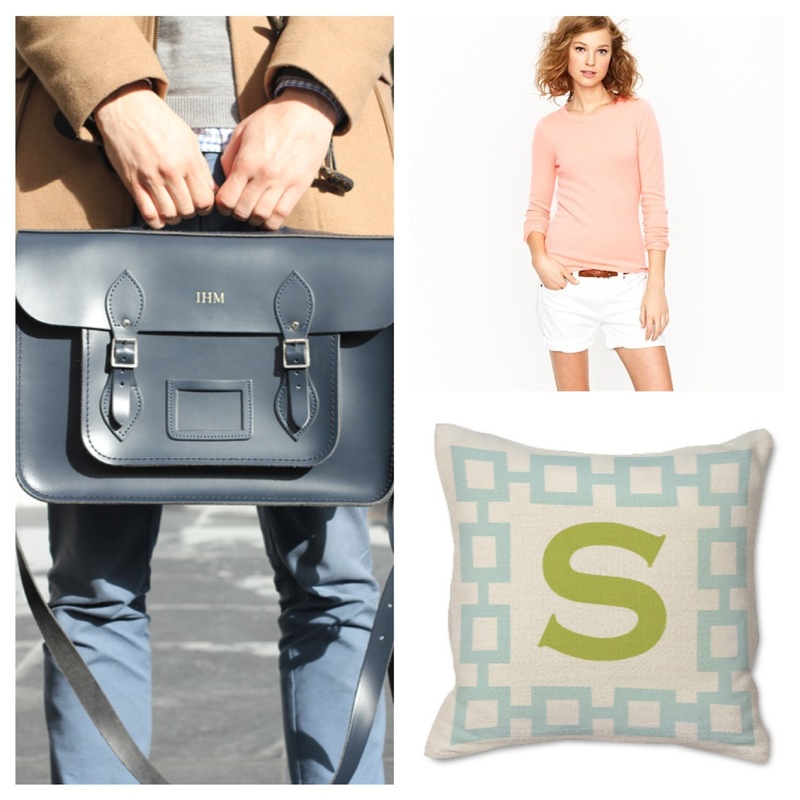 I already have a Cambridge Satchel Company bag, but it looks so good with letters. And, Jonathan Adler pillows make a sweet addition to any room.